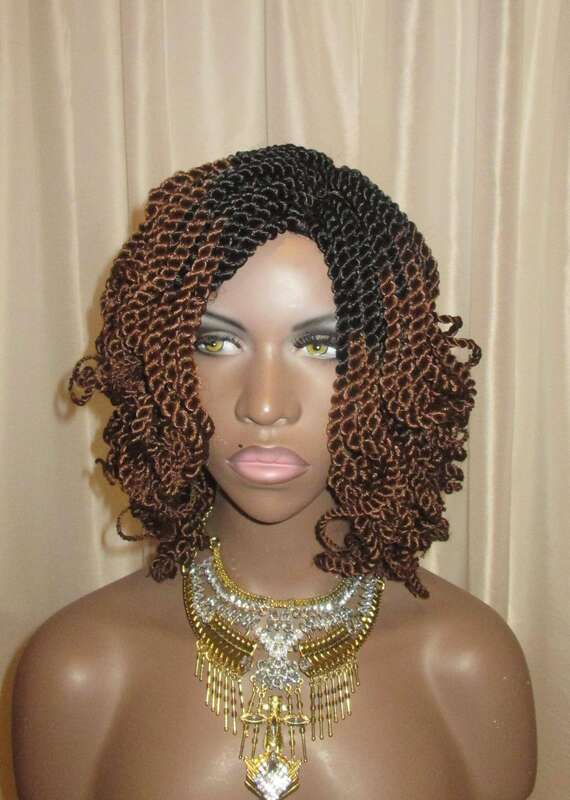 Get a sweet bohemian look with this curly mini twists wig. 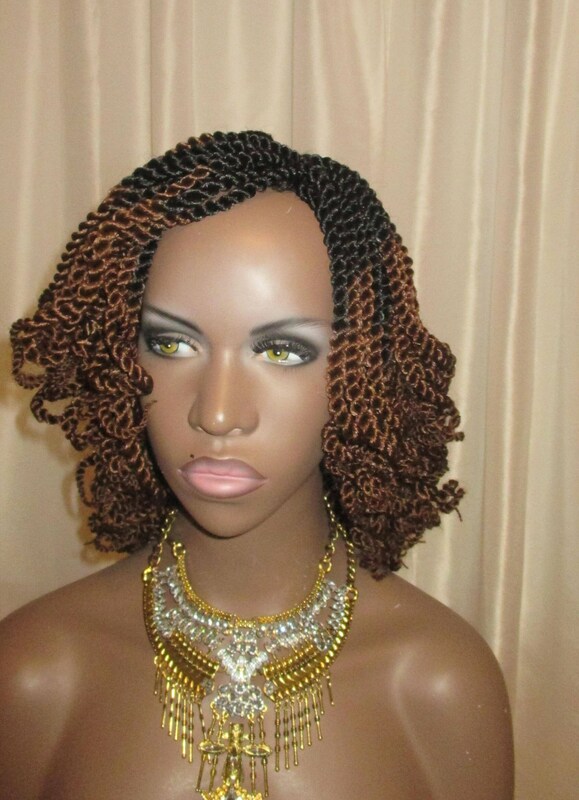 Perfect if you love the look of curled locs/twists. 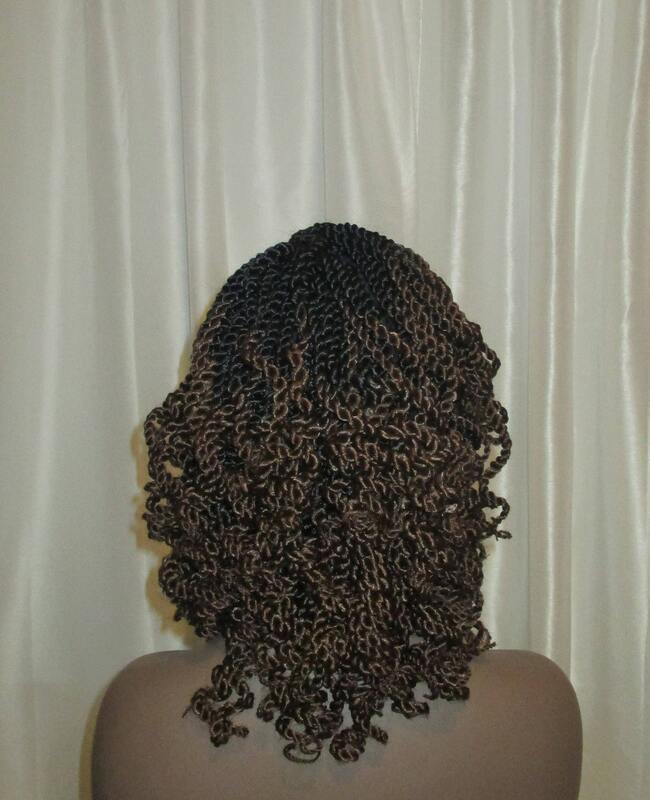 It provides the look of twists without the time constraints and damage to your own hair! 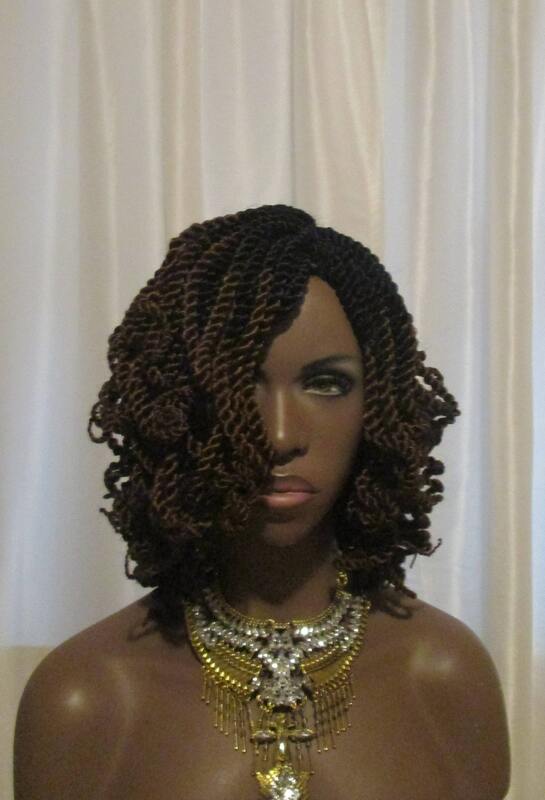 The unit is lightweight and an all around great protective style. Unit styled without part showing but it's there. 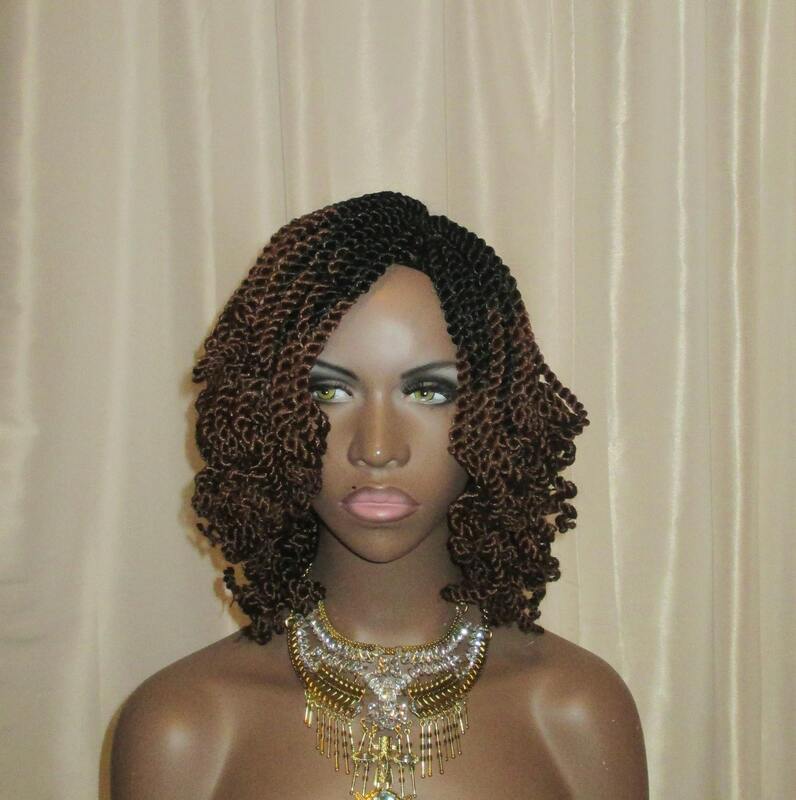 It's great to know that with wigs, you can put them on and take them off at your whim and change your style at any time! 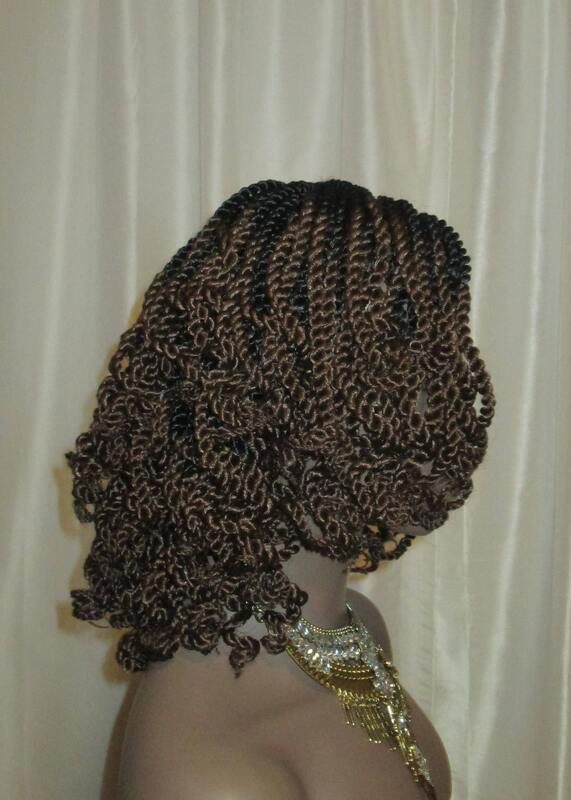 Made on a standard crochet cap. 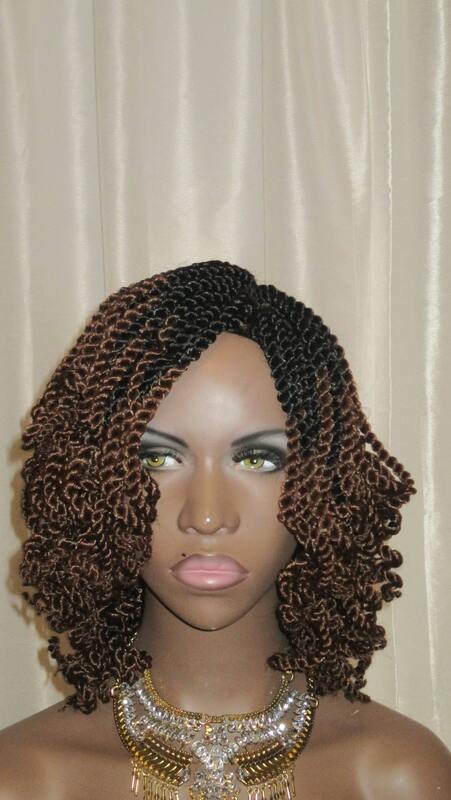 The elasticated stretch fit of the cap allows for a custom, proper head width fit. Want a different color? Contact!